To me, the quintessential Hulk artist is Herb Trimpe (preferably with Marie Severin inks). Most Trimpe Hulk art under issue 200 is very pricey, but I picked this Trimpe page from Hulk Annual 6 for a fraction of the cost of a page from a regular issue from the same time period. 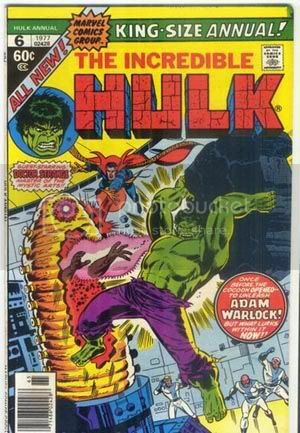 It's still the classic late silver/early bronze age Hulk "look." Go figure... It's inked by Frank Giacoia and/or Mike Esposito.